The new Land Rover Range Rover Diesel Estate remains the British brand’s prized asset. And for under £77,000, you can get your hands on this veteran adventurer that’s luxurious, spacious and comfortable. It just looks so impressive, too. Big, bold and domineering, it’s the automotive equivalent of a lion on the plains. You just know it will look after you and your family on the road and off it. 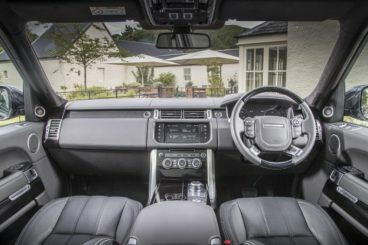 OSV takes a closer look at what this lion-heart is all about with our 2017 Land Rover Range Rover Diesel Estate review. With the new Range Rover, you get the best of both worlds: An Incredible Hulk off-road, and a perfect gentleman on it. It’s like James Bond and a Marvel superhero mixed together. Comfortable, refined but ready to get its hands dirty when needed, it seems to be the perfect large family car. It handles and performs better than last time, thanks to the fact that it’s some 420kg lighter. It’s still bulky, but it’s much more comfortable on twisting roads. However, for pure finesse you would need to splash out on the Autobiography Dynamic model. It sure is heavy, but thanks to a tweaked suspension and lower ride height, you’re able to thrash it around with plenty of confidence. The rest of the range handles well, but none of the models are as responsive as the range-topper. They lean more in corners, for example. At the same time, their raised driving position means that visibility is good. Off-road, the Range Rover Estate is highly accomplished. Terrain Response is standard, and it lets you modify the car’s traction control and suspension to suit the surface you’re on. The Range Rover tackles all kinds of surfaces with relish, including water, mud and even snow. It was built for this kind of stuff, so don’t be afraid to take it where other cars would dare not go. In terms of the engines, the 3.0-litre TDV6 diesel should satisfy most buyers. It’s the entry-level model, does 0-62 in 7.4 seconds, and is both smooth and quiet. It makes economical sense, and most buyers simply won’t need more power and performance. However, the bigger 4.4-litre SDV8 engine is here if you need it. It can get you from rest to 62mph in just 6.5 seconds, and emits a surprisingly pleasant noise. Fuel economy returns of 33.6mpg are less appealing, of course. The interior is among the best in class. In fact, it’s among the best in the world right now. But despite drenching the car in luxury and elegance, Land Rover have made sure not to alienate old-school customers who don’t mind a bit of ruggedness. For example, the controls can still be operated if you’re wearing gloves. The dashboard is a big step-up from last time, and looks more futuristic now. Land Rover have cleared away half of the buttons from the previous model, which improves the way it looks. It’s really easy on the eye. The brand’s InControl Touch Pro infotainment system now takes care of most of the car’s controls. You operate it via a 10” touchscreen, and it’s simple to get the hang of. Land Rover has spared no expenses on the materials. Luxurious, soft leathers abound, covering the doors, steering wheel and dashboard. You’ll also find wood-veneer inserts and piano-black lacquer as you look around. Another highlight is the mood lighting system. Only the entry-level model misses out on this, which creates an ambient lighting effect using LED lamps inside the cabin. You can flick through a total of ten colours to get the look and mood you want. Maybe disappointingly, there isn’t the option of seven seats. And if truth be told, it’s a car built for four adults as opposed to five. In fact, you can specify just four seats and doing so means two adults in the back get insane levels of comfort. The seats are big and offer ample room to stretch out and get comfortable. And if you choose the longer wheelbase version, your backseat passengers will certainly be grateful. The boot measures a gargantuan 909-litres. If you need to extend that, you can easily just flip the rear seats. Standard equipment is excellent, with the entry-level model getting 20” alloys, a 380-watt Meridian stereo, as well as heated front seats. The Vogue SE model adds cooled and heated front seats, and a useful power-operated boot lid. The Autobiography model comes with a glass roof, a better stereo and bright xenon headlights, while the SVAutobiography trim gets a longer wheelbase, vented name heated front massage seats, sat nav, 4-zone climate control, and a digital TV. The SVAutobiography Dynamic model rounds things off with a different finish to its front grille, bonnet and side vents. It also gets plush diamond-quilted leather on the seats. Safety is excellent. As well as awarding it 5/5 for its crash-test, Euro NCAP also gave it the highest ever rating for pedestrian protection in this sector. Traction control and autonomous braking are included in the safety kit, as well as the usual plethora of airbags and electronic stability control. Prices for the new car start out from £76,800 and rise to £167,280. For more information on our leasing deals, check out our page here. In terms of its running costs, the car doesn’t fare too well – but who really expected it to? This is a luxury 4×4, so returns of 40.9mpg from the 3.0-litre diesel engine are par for the course. However, high emissions of 182g/km of CO2 might be more off-putting to greener buyers. The bigger 4.4-litre SDV8 model fares even worse, returning just 33.6mpg economy and emitting 219g/km of CO2. That’s more than rivals. There is a hybrid version available, which combines a diesel engine with an electric motor. It isn’t selling well, but returns a range-best 45.6mpg and emits 164g/km of CO2. It’s astonishing that a 4.4-litre SV8 engine in such a large car could be this refined. The interior sparkles with luxury. But despite the wood veneers, leathers and metals, the real trick is that Land Rover have kept things rugged enough to please the die-hard off-roaders. In the true spirit of a British Bulldog, the new Range Rover is ready for anything. It’s more expensive to run than rivals. The four-seat option offers a bit more legroom, with the five-seater variant feeling a bit cramped in the rear. 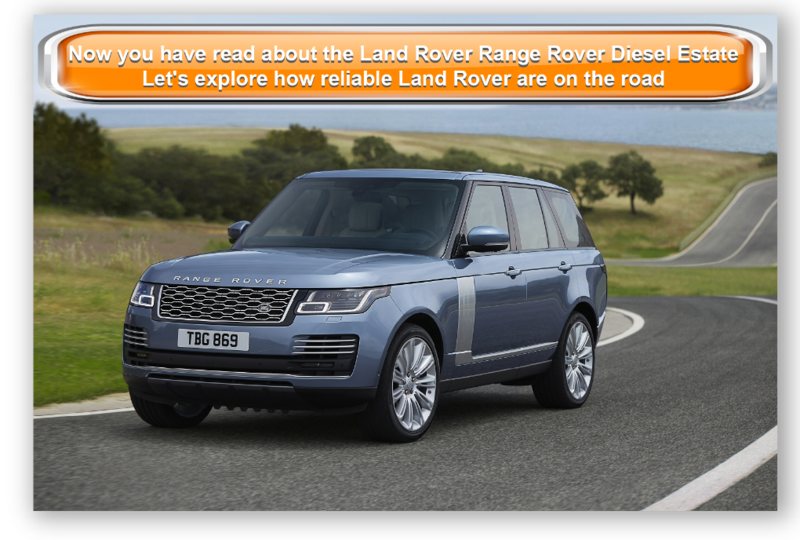 Let’s see how the fares against its rivals in the comparison section of our 2017 Land Rover Range Rover Diesel Estate review. The new seven-seater Audi Q7 in some ways looks like an old-school Estate car. However, it’s chunkier, looks more powerful and aggressive – but will still be too fussily styled for some. Despite its chunky looks, the Q7 is actually lighter than last time. It’s more agile, too, thanks to a brand new four-wheel-steering-system that comes as an optional extra. This allows you to turn your rear tyres by 2 degrees with your front wheels when moving at high speeds. At speed, it’s good. It changes direction faster than before, and you’ll have no problems throwing it into corners. The electro-mechanical active roll stabilisation helps your confidence in this regard. In terms of the engines, a 3.0-litre 215bhp diesel opens the range. It does 0-62 in 7.3 seconds, which is reasonable. It has plenty of pulling power from the bottom of the rev range, which means that it gathers momentum well. It’s a tad noisy, though, and we prefer the turbocharged 268bhp variant. It does 0-62 in 6.5 seconds, and is paired up with an 8-speed automatic transmission that delivers power smoothly. A plug-in hybrid, meanwhile, combines an electric motor with a 3.0-litre diesel engine to develop 368bhp. It does 0-62 in 6.2 seconds, before maxing out at 140mph. It’s surprisingly rapid, and almost whisper silent in electric mode. This hybrid is the most frugal model, with Audi claiming it can return 156.9mpg while emitting 48g/km of CO2. The entry-level diesel, meanwhile, is good for the 48.7mpg economy, while the turbocharged 268bhp returns 47.1mpg. Inside, the Audi is as pristine as ever. Audi just doesn’t make bad interiors, and their trademark of excellence is evidenced everywhere. The seats are super comfortable, the dashboard is flush with upmarket materials, and the fit and finish is top notch. Go for the hybrid model, and you’ll also benefit from a near-silent cabin. A 12.3” virtual cockpit is another benefit of going for the hybrid. 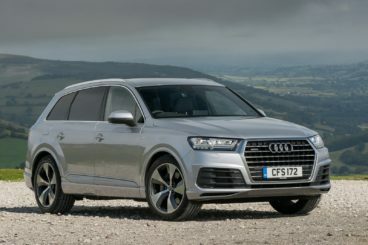 Opt for any other model except the high-performance SQ7, and it’s an optional extra. The steering wheel, meanwhile, looks after a number of the Q7’s infotainment and map functions, which frees up button clutter. It’s a practical car, too, despite being smaller than its predecessor. Audi has added thinner seats, and have managed to create more leg and headroom. All models except the hybrid have reclining rear seats, while the transmission tunnel is wide and low. This means five adults can sit in comfort. The boot measures 295-litres with all seven seats up. Collapse the third row, and you can extend that to 770-litres. Fold the second row of seats, and you can free up 1,955-litres. 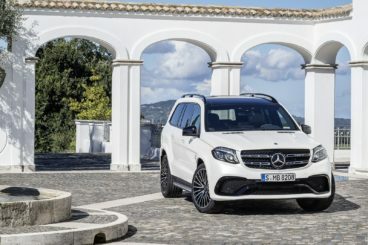 The new seven-seater Mercedes GLS Diesel is a spacious, smooth and quiet luxury family car. It drives pretty well, but it’s not going to excite you. Will this really bother families? Unlikely. However, you need to be careful when entering corners. Rush into them with too much pace, and you’ll find yourself drifting out wide. It’s a heavy car, so it requires some care behind the wheel. An electric-power-steering system has improved handling, but you need to be mindful of how big this car is at all times. The 3.0-litre V6 diesel engine is well-suited. This powers the 350d model. It produces 255bhp, which is enough to get you from rest to 62mph in 7.8 seconds. As expected, it has a lot of pulling power from far down the rev range, which means it’s a pretty good tow car. This is the sole diesel in the range, and at last Mercedes have treated it to their brand new 9-speed automatic gearbox. It comes as standard, and helps with smooth power delivery. Its economy is competitive, with the V6 diesel returning 37.2mpg at best. Emitting almost 200g/km of CO2, there’ll be a yearly tax bill of £265 to pay for. On the whole, though, the cabin just isn’t a match for the Range Rover or the Audi Q7. It’s nicely put together and will last a while, but it lacks a certain specialness. It also looks a tad dated. Still, it’s as usable as families need it to be. With seven seats and more length than the Range Rover, it’s got more interior space and a huge boot. With all seats up, the boot measures almost 300-litres. Even if you fold the last row of seats, you’ve still got 680-litres of space to work with. And when you fold the second row of seats, you get a whopping 2,300-litres. Proud as a lion but a British Bulldog at heart, the new Range Rover is as captivating as ever. Formidable off-road and accomplished on it, it’s both luxurious and robust. 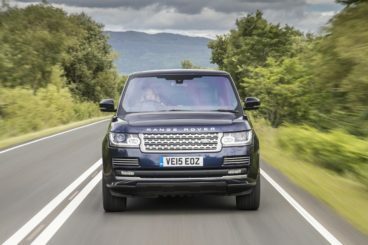 Add in powerful engines, natural might and some hi-tech, and it’s easy to see why the Land Rover Range Rover Diesel Estate deserves to be crowned King of the Luxury SUVs once more.